Welcome to Jongate – our brand for broadcast software-defined solutions recognizable by their performance and adaptability. Here at Jongate we focus on developing simple and affordable, yet powerful and reliable broadcast software for individual workflow and third party integration. We are always open to suggestions and willing to do any customizations necessary to provide the most suitable solution to our customers. We are determined to provide flexible, scalable and modular broadcast software solutions, which function seamlessly in the present dynamic media environment. Our current product line features Multi-screen Playout, Playlist, Graphics, MultiViewer, Encoder, Capture, Streaming and Quality Control Automated Media Validation solutions. All the broadcast software products can be offered as integrated or stand-alone software modules to ensure that individual customer requirements are met. We are currently looking for Value Added Resellers for our products. Please browse our Products and Company pages to get an idea on how we can become your valuable business partner. Already convinced – send us an e-mail at sales(at)jongate.com and we’ll contact you with more information. SDI, HDMI, Composite, Component and IP output. Dynamic on-air playlist editing and “in-playlist” clip trimming. Multi-resolution, multi-frame rate, multi-frequency, multi-format media in one single playlist with unified output. Logo insertion. Audio volume monitoring and control. Graphic overlay and Streaming integrated. Fast frame accurate playlist building. Multi-format media support. Built-in media clip trimmer for “in” and “out” points selection and preview. Full playlist preview, using the main playout engine. One click playlists export and import. Audio volume preview. Low latency encoding and streaming of SDI to IP and IP to IP. Multiple audio and video compressions support. 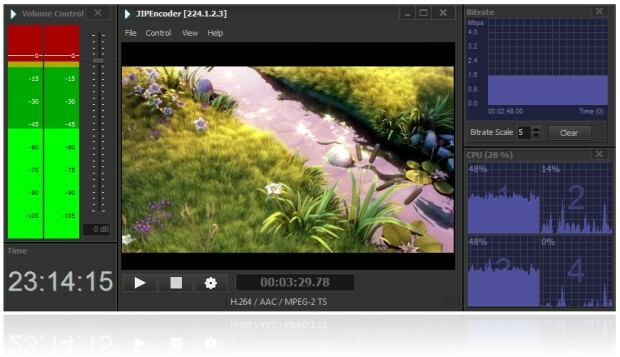 Video preview; audio preview and control, output multiplex bitrate preview, CPU load preview. Scheduling and automation. Graphic overlay designer built-in. SDI, HDMI, Composite, Component and IP – UDP, RTP and HLS (HTTP Live Streaming) capture and encoding. Multiple audio and video compressions support. Video preview; audio preview and control, output multiplex bitrate preview, CPU load preview. Scheduling and automation. Graphic overlay designer built-in. SDI, HDMI, Composite, Component, TCP, HTTP, UDP, RTP, RTSP inputs. Both, real-time network input and file-based inputs. Seeking for file-based channels. 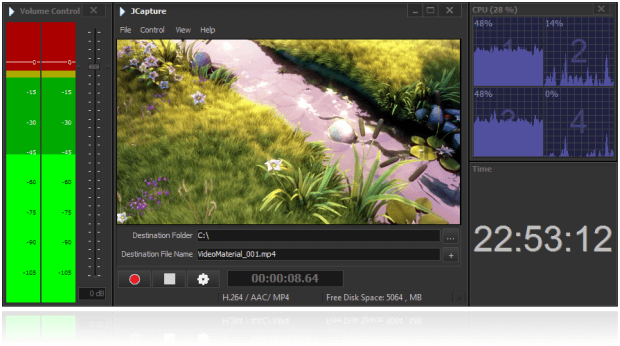 Supports MPEG-2 TS/PS, MXF, MP4, AVI, AVC, MPEG-2, AAC and MPEG Audio. Audio real-time volume level preview for up to 32 audio mono channels. SDI, HDMI, Composite and Component broadcast graphic overlay. Live graphics editing mode. Texts, images, image sequences, crawls and rolls support. Video pass-through graphics mode. Fully integrated in playout, capture and IP encoder solution.